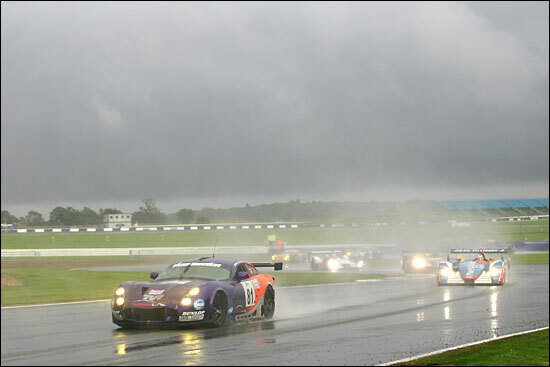 Team LNT was back with a vengeance at Silverstone, on August 12-13, for the third round of the LMES 1000 kilometer races. Monza had been a tale of woe for the British team, but there were three of the TVR T400Rs present on Friday morning - the regular race cars joined by the test car, standing guard at the team’s hospitality awning in the paddock. There was track time galore available on Friday, with four lengthy practice sessions. The fourth of these was another hour-long session, beginning at 21.00 – in darkness of course. All the drivers were supposed to complete three laps in the dark (because Saturday’s race would finish in darkness – very dark darkness it was too. "We don't know what caused the breakage, but just as I followed Warren into Luffield there was a ball of flame from the front of the car. I thought, should I stop or finish this lap?! (it was his quickest). Warren's absolutely fine and even though it looks a bit like a barn find at the moment, we'll be back out later, we have plenty of spare engines this weekend." 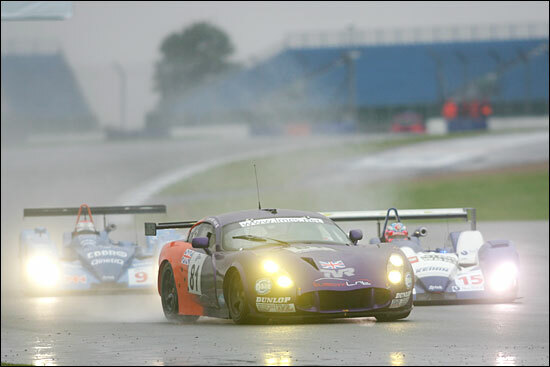 The two LNT T400Rs were lying third (#81) and fourth (#82) at the time, a red flag being thrown as the circuit firefighters dealt quickly with the stricken TVR. The engine change would see the #81 car sitting out the second session but it would be back out and running after the morning's woes and Jonny Kane was flying, up to fourth in class at the halfway point, with the sister #82 car just half a second slower. 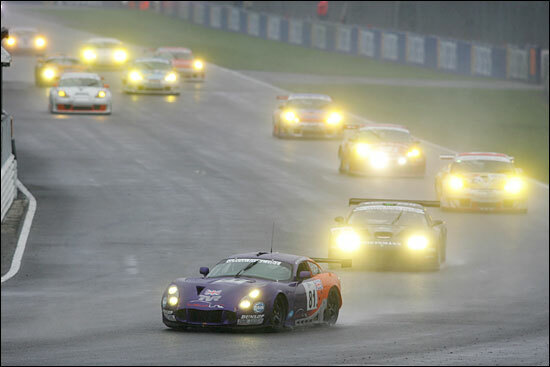 And then suddenly #81 was third fastest in GT2, on its last lap of the session. The pace was there for all to see. It had been a fast but relatively uneventful day for the for Pat Pearce, Marc Hyne and Lawrence Tomlinson car: exactly what was wanted. 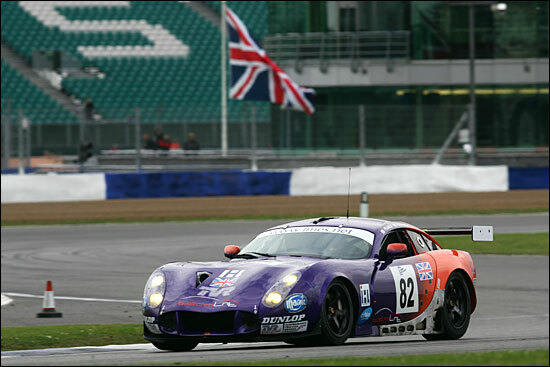 There was more encouraging news for the boys in purple and orange (and their team boss, left) as the #82 Team LNT TVR, Marc Hynes at the wheel, set fourth fastest time in class in a quickfire 20 minute qualifying session on race morning (Saturday). Marc’s lap of 1:53.0 was well in touch with the leading cars. Marc Lieb in the 2004 Championship-winning, Sebah Porsche was sandwiched between the LNT boys, the #81 T400R just half a second shy of #82. 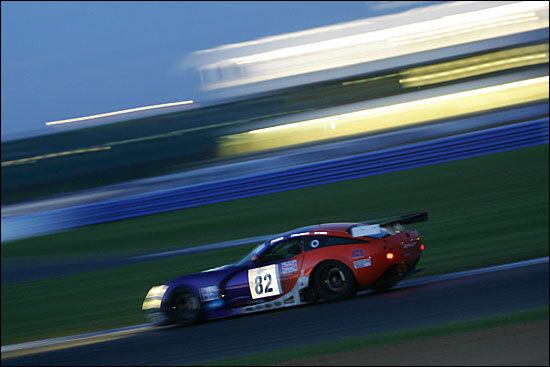 Patrick Pearce was delighted with teammate Marc Hynes' qualifying effort aboard the #82 team LNT TVR. "Very pleased with that, and on his first lap too. It's good to get one over on the other car from time to time." There was a six hour wait for everyone before the 16.00 race start – and in that period, the weather changed – dramatically. It started in truly atrocious conditions, made worse for the #82 car, started by Patrick Pearce when the windscreen wiper failed just before the start. The team attempted to effect a fix, but to no avail. Worse still the work had gone on after the three minute board was shown, meaning that a two minute stop go penalty was inevitable. That was to come a little later however and, as the lights went green the race was on, torrential rain or not! The conditions were appalling, with cars struggling for grip everywhere. #81 though made immediate progress, the combination of Dunlop wets, Jonny Kane, and the bigger cars struggling for traction, firing the car up the order. 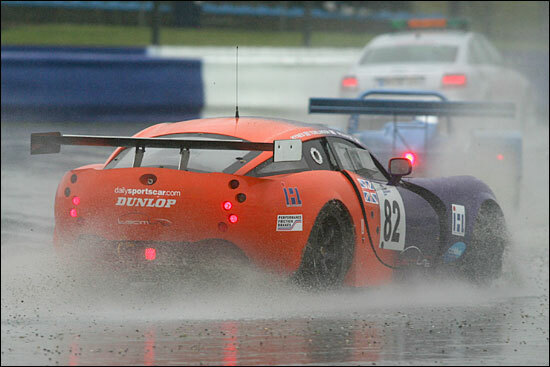 Pat Pearce meanwhile still had no wipers in the #82 TVR. He ended his stint and described what it was like to race in the wet without a windscreen wiper. "I couldn't see a thing! When I was following the safety car down the pit straight, I actually had to open the door and stick my head out to see where I was going. At other times I had to go across the grass. Basically, whenever I was following a car, I couldn't see past the bonnet. 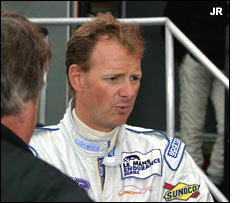 I certainly wouldn't want to drive another stint like that!" Without this problem, and the related stop/go penalty, Pat Pearce reckoned that he would have been challenging for the class lead. The second hour featured a bizarre occurrence: the sister cars collided – but neither driver knew they had touched each other! Conditions were so bad that neither LNT man knew which other car he had made contact with. Truly extraordinary. 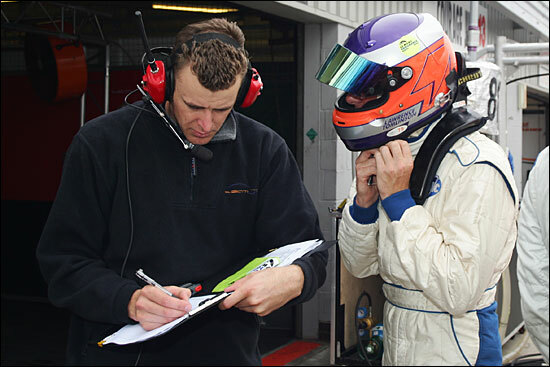 Marc Hynes was at the wheel of #82 at the time, with Warren Hughes in #81. The #82 came off worst, and a long stop for repairs (which also gave the crew a chance to fix the wipers) meant that a points-scoring finish was out of the question. But the three drivers put some reliable miles on the car, and brought it home without too many other adventures – in eleventh place in class. 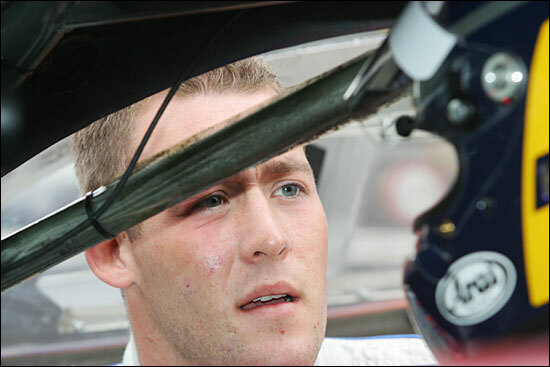 Meanwhile, all was not well with the Jonny Kane / Warren Hughes car. Jonny Kane: “We were having a really good run. Having got us up to third place, then handing over to Warren, I was inclined to think that they were going to stop the race. Warren couldn’t see, which was how he and Marc collided. So the team that galloped off to a brilliant start at Monza - first and second in GT2 - has struggled to get near the points since then. 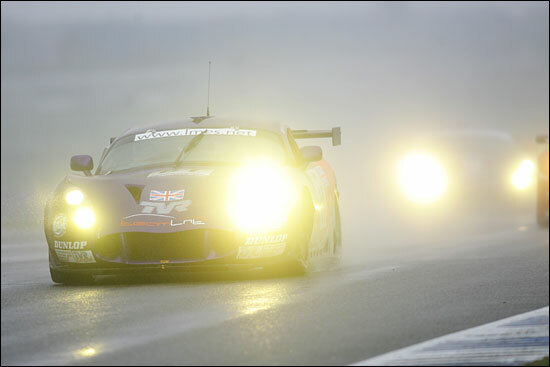 One or two other GT2 teams have had some miserable misfortune too – it’s not all aimed at Team LNT!